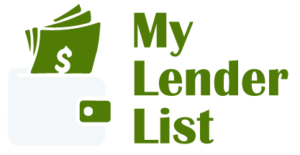 My Lender List helps you compare home loan offers from multiple qualified lenders so that you can get the best rates and terms. Qualifying for a home loan can be a complicated process. There are many moving parts, and many details that need careful attention. My Lender List helps you through each step of the application process, so you can be confident that you’re moving in the right direction towards getting approved for your loan. Whether you’re looking to buy your first home, refinance your current mortgage, make a short-term investment, or fund a home-improvement project, we’ve got you covered. My Lender List also provides unbiased lender reviews, so you can learn the pros and cons of each lender before committing to a long term relationship with them. A home loan is a significant financial decision, and it makes sense to get as much unbiased information as possible before making a choice. The My Lender List team has been helping people buy homes for over 12 years. During that time, we’ve encountered every possible loan issue one can imagine, and we’ve helped countless people from all walks of life successfully get approved for their home loans. When you work with My Lender List, you’re getting access to our diverse network of lenders. We are often able to help you qualify for loans that traditional banks might not. That includes private investors and hard money loans, which could be ideal for someone with less than perfect credit, or someone that needs a loan quickly so they can make an investment deal happen. We’re passionate about your success. Helping people reach their goals is what has always driven us forward, and we’ll do everything we can to make sure that you find and get approved the loan that best fits you and your goals.